Green tea is a very appreciated drink for centuries in Asian countries, not only for its refreshing and aromatic taste, but also because it is extremely healthy. In the 12th century the Camellia sinensis plant was imported from China to Japan and from it started to produce green tea. Green tea is treated with steam only to not destroy the enzymes, and then air dried. Because when it comes to the process of oxidation and fermentation, retains its green color and almost all valuable ingredients. Daily drinking green tea belongs to today’s culture of Japan, where the smallest percentage of cancer. It is interesting that the Japanese do not ferment the tea, so all of their green (Sencha, Bancha, Gyokuro, Gabalong). From the 17th century to link medical research on green tea, which has shown that it contains vitamins A1, B2, B12, C and E, as well as many minerals and trace elements. Also, cleanses the body of toxins, reduces pain in stomach and intestines, lowers blood fat levels, is good for the heart and blood pressure, prevent arteriosclerosis, a good anti-inflammation, normalize the thyroid gland, improves blood circulation and skin regeneration, increases mental and physical activity, works against depression, promotes healing of liver patients, good for rheumatism and for fluoride contained in preventing tooth decay. According to the latest research, green tea contains EGCG (epigallocatechin gallate), which reduces the cancer cells, making it a success in the fight against cancer and hepatitis. It is good for athletes because it improves his physical activity, increases concentration, motivation and stamina. It was discovered and its effect on weight loss. 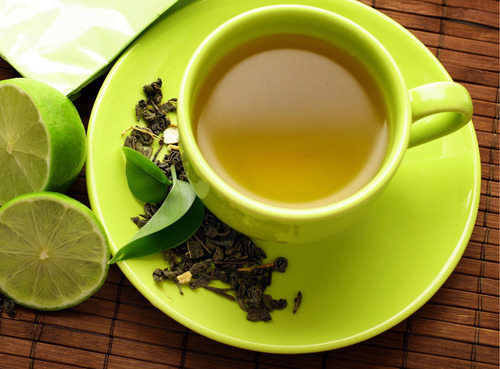 Green tea speeds up metabolism, improves digestion, stimulates the breakdown of fat and cleanses the organs of toxins. Not noted that other teas can provide this quality protection as green, which is not logical since all teas are made from the same plant – “Camellia sinensis”. However, green tea is processed differently, the leaves are treated him steamed rather than fermented since fermentation destroys mentioned oxidant and changes his composition. These modified compounds have the same function in the fight against certain diseases. How much green tea should you drink a day? It is best to drink 3 to 4 cups per day. Large amount of caffeine in green tea may cause sleeplessness and restlessness due to excessive discharges of water from the body and the possible loss of minerals. Pour hot water (boiling water, allowed to stand for 1 to 2 minutes), and wait for 2 to 3 minutes. Most health-beneficial ingredients shall be removed after three minutes. Tea after 2 minutes more invigorating, and then is extracted several tannin-binding part of the caffeine so that the tea more soothing. If we are preparing tea for a long time, changing the chemical composition, so that the tea becomes bitter and less tasty. Tea leaves may be used several times, but it is allowed to soak for a long time – 5 minutes. Tip: The content of polyphenols further strengthened when freshly prepared tea, add a bit of lemon. Tea leaves are edible, so they can be used as a spice in food preparation, thus get even more health beneficial substances that are water-insoluble (especially fiber).